We offer fun and creative workshops for a variety of ages. 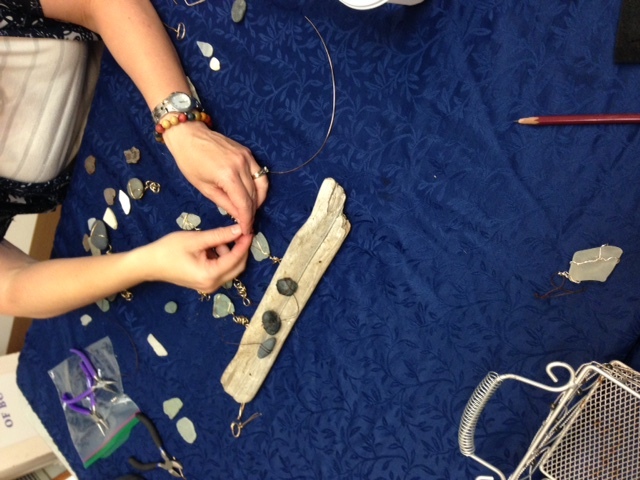 Our workshops are designed for people of all skill levels and include the cost of supplies. Join our workshops today! CLICK HERE FOR OUR WINTER 2019 WORKSHOP SCHEDULE! Did you know that you can book our workshops outside of those already scheduled? That’s right! We offer these workshops (see our full list of offerings, below) for group bookings on a per-request basis. Book a workshop for you and a group of friends, enjoy a fun team-building experience with your office colleagues, or book an age-appropriate workshop for your child’s next birthday party. The possibilities are endless! For more information on our bookings, please email us at programs@mmbc.bc.ca, or call us at 250-385-4222 ext. 105. Bring the tranquility of the beach back home by creating your own beachy terrarium at the Maritime Museum of British Columbia! Our workshop leader will teach you the knotting techniques of macrame, before guiding you through the process of filling your glass terrarium with locally sourced materials, all the while connecting each piece to stories and histories of local areas around Vancouver Island. Ahoy, sailors! Join us at the Maritime Museum of British Columbia for our Kids Driftwood Boats workshop! This workshop, recommended for ages 5 – 10, is led by one of our interpretative guides, who will help each child participant through the process of creating their very own driftwood boat toy. During the workshop, participants learn about where driftwood comes from and the importance of driftwood for sea creatures and other animals that call British Columbia’s shores home. Children must be accompanied by an adult (no extra charge). Looking for something special for that special someone? Join us at the Maritime Museum of British Columbia for our Knotical Love Workshop! 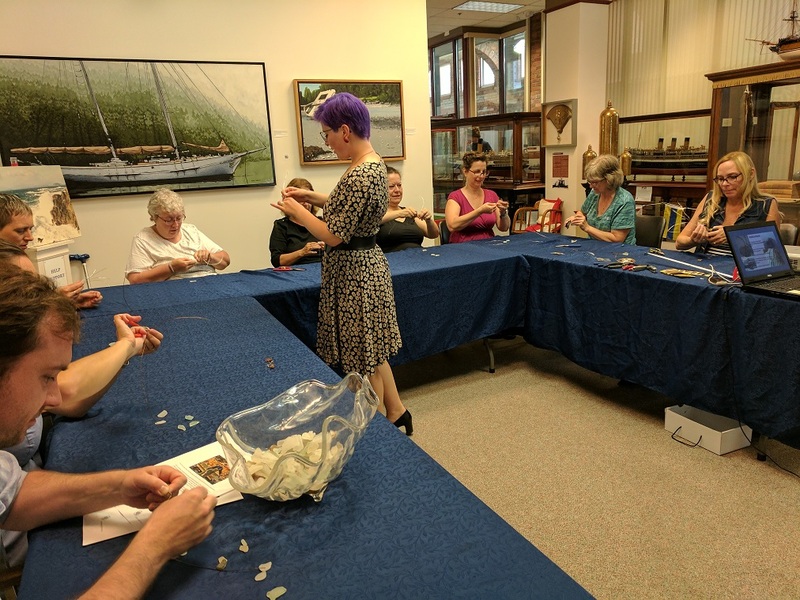 Our workshop leader will guide you through the process of creating a “love knot” macrame necklace or bracelet, while sharing stories of our coastal maritime traditions and legends of love. Once finished, we’ll complete the gift by creating a custom card out of re-purposed nautical charts, using iris folding techniques! Brush up on your knot-tying skills at the Maritime Museum of British Columbia’s “Knotty” Coffee Table Decor workshop! Whether you are an amateur knot-enthusiast or an experienced mariner, our workshop leaders will guide you through the process of creating your own “knotty” coasters, napkin rings, and wine charm. Our interpretative guide will also share stories of the classic boats that have called the coast of BC home. Book lovers are invited to join us at the Maritime Museum of BC, to breathe new life into vintage nautical books by transforming them into works of art! Our workshop leader will teach you the technique of book sculpting, by folding the pages into unique nautical scenes, all the while sharing local stories and folklore surrounding the sea. Repurpose outdated, local, nautical charts into works of art at the Maritime Museum of British Columbia! Our workshop leader will guide you through the process of creating 3-D nautical chart art, using origami techniques, and framing your piece in a beautiful shadow box for you to easily hang at home. Choose from one of many local charts, now outdated, but which were once used by sailors around the British Columbian coast. During the workshop, listen to tales of the early explorers on the Pacific Northwest Coast and how their cartography work impacted the development of the province. Spruce up your wardrobe this winter by accessorizing with sea glass – also known as “mermaid tears”! 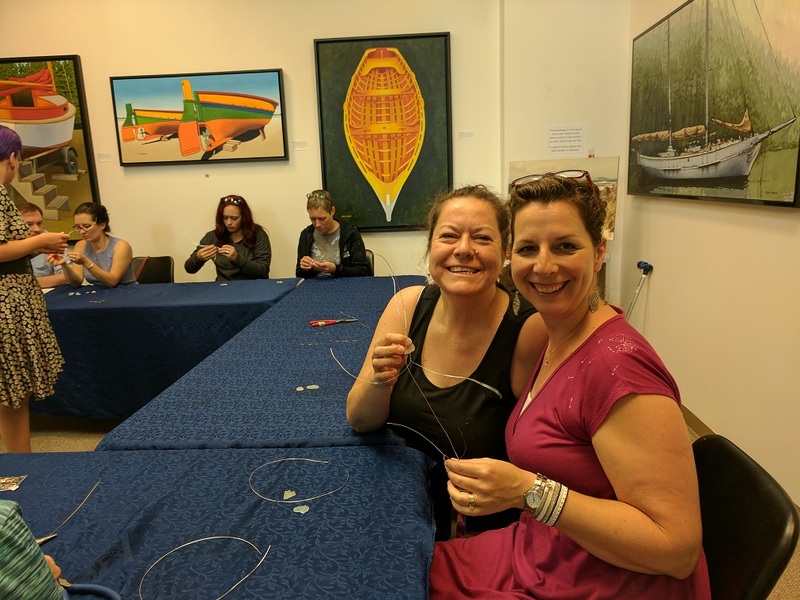 Create your own sea glass necklace, bracelet, earrings, or other one-of-a-kind jewelry at the Maritime Museum of British Columbia (Victoria, BC). Using locally sourced material, our workshop leader will guide you through the process, connecting each piece to stories and histories of local areas around Vancouver Island. Get crafty at the Maritime Museum of British Columbia’s Sea Lantern workshop! Our workshop leader will guide you through the process of transforming a simple mason jar into your own nautical-themed “sea lantern”. We’ll also share stories of some of British Columbia’s lighthouses that dot our coastal shoreline.